Telephone Dynamics has set itself apart in the telecommunications industry. Our customer loyalty remains one of our primary sources of business. The future of our business mirrors our clients as we enter the 21st century with hope, optimism and confidence. As authorized representatives for NEC telephone systems, and authorized agents for Optimum Business , our staff is trained and certified on a number of different brands, models and manufacturers. Telephone Dynamics Corporation employees are trained to work with commercial customers whose current system suffers from hardware malfunction, system crashes, and lightning, flood, or other acts of nature in order to keep their system operational until the the implementation of a new solution. through NEC will provide the latest Voice over Internet Protocol (VoIP) technology and comprehensive desktop solutions to deliver superior performance, efficiency, flexibility, and reliability when and where you need it. 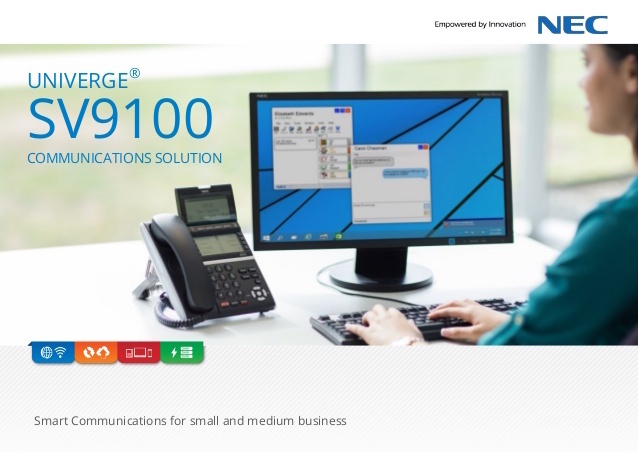 This system, and others, will provide your organization with the tools needed to meet the unique challenges of both business telephony applications and VoIP. Today's communication needs are far more than voice/telephones. Integrating hardware and software applications can reduce costs and improve efficiency. We install systems for small businesses with 8 or less lines, to 6 cabinets and a capacity of over 1020 system ports.